NIGERIA POLITICS:A NEW ERA? - Onome Talk Am! Onome Talk Am! 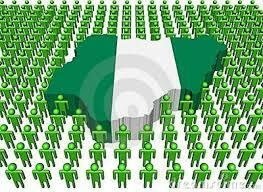 > Lifestyle > NIGERIA POLITICS:A NEW ERA? Muhammadu Buhari, there is a sort of mixed feelings among Nigerians. leaders elect deliver on their promises? Will it be business as usual? way, the all man for himself practice. life by voting such candidates in. tactic as a means to a selfish end. should have been the aspirant ‘ s character and integrity. properties should be topmost on the new leaders agenda. people happy.The needs of the masses should be paramount. is on its way to being solved. God bless my country and it’s people.